SPIN A FLAG, TOSS A RIFLE… CATCH THE EXCITEMENT! Color guard is a wonderful activity that builds self-confidence, teaches the value of teamwork, and promotes physical fitness in a safe, fun and creative environment! 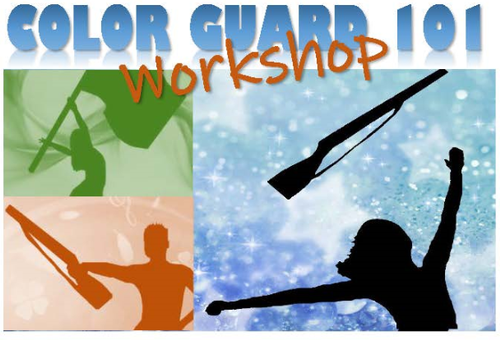 For those interested in continuing color guard after the workshop, there will be a Sign-Up table for the Allegiance Summer Guard program! 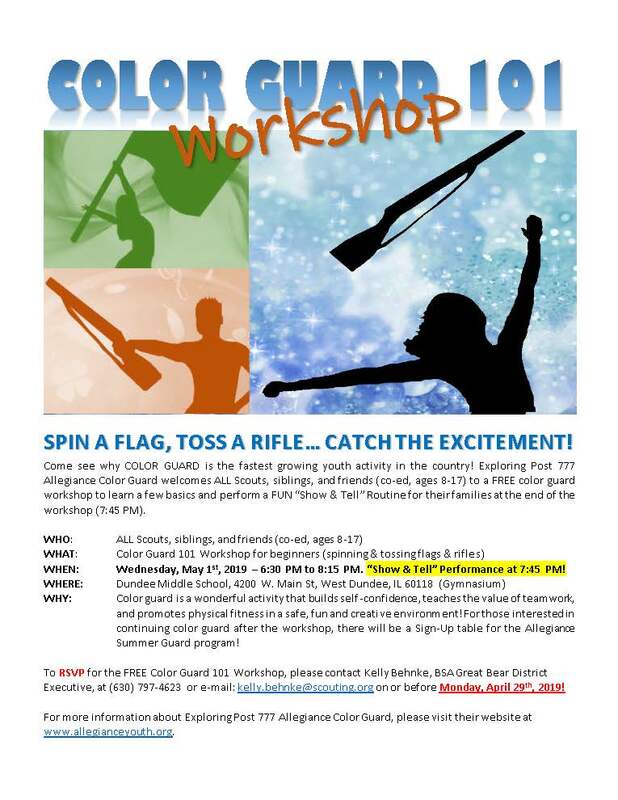 To RSVP for the FREE Color Guard 101 Workshop, please contact Kelly Behnke, BSA Great Bear District Executive, at (630) 797-4623 or e-mail: kelly.behnke@scouting.org on or before Monday, April 29th, 2019! For more information about Exploring Post 777 Allegiance Color Guard, please visit their website at www.allegianceyouth.org. "Show and Tell Performance at 7:45 PM"